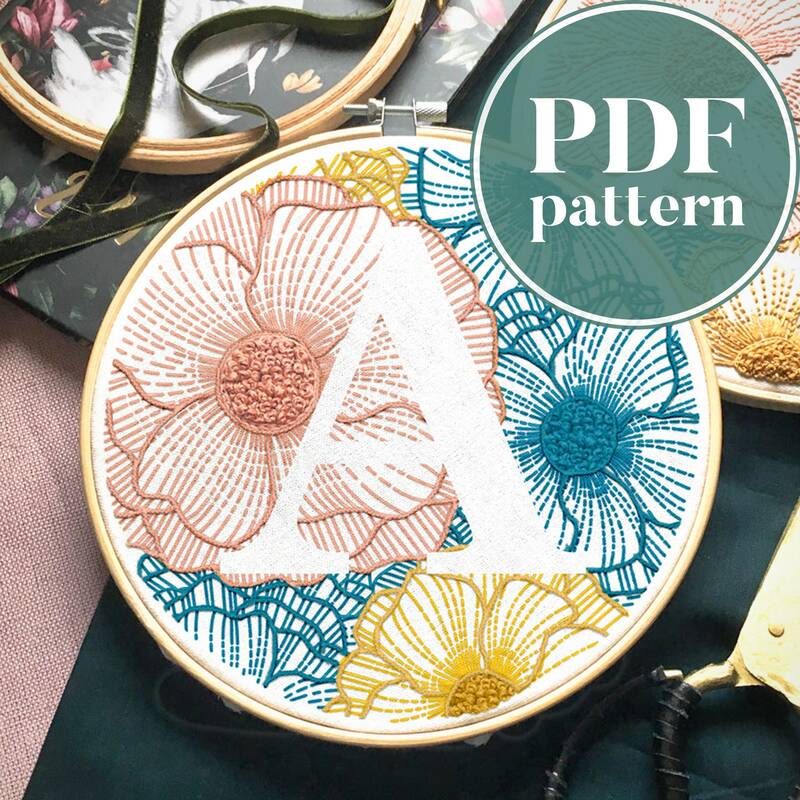 FLORAL LETTER "A" digital PDF embroidery pattern. Embrace your vision of neatness and detailed elegance with this hand embroidery PDF pattern design. Once stitched, this 7" (18 cm) colorful floral letter pattern will look great on your hoop, pillow, jacket or it can be a beautiful embroidered gift to your loved ones. This piece will fit well wherever you intend to place it! After purchase, you will be able to find your PDF links under your purchases page.